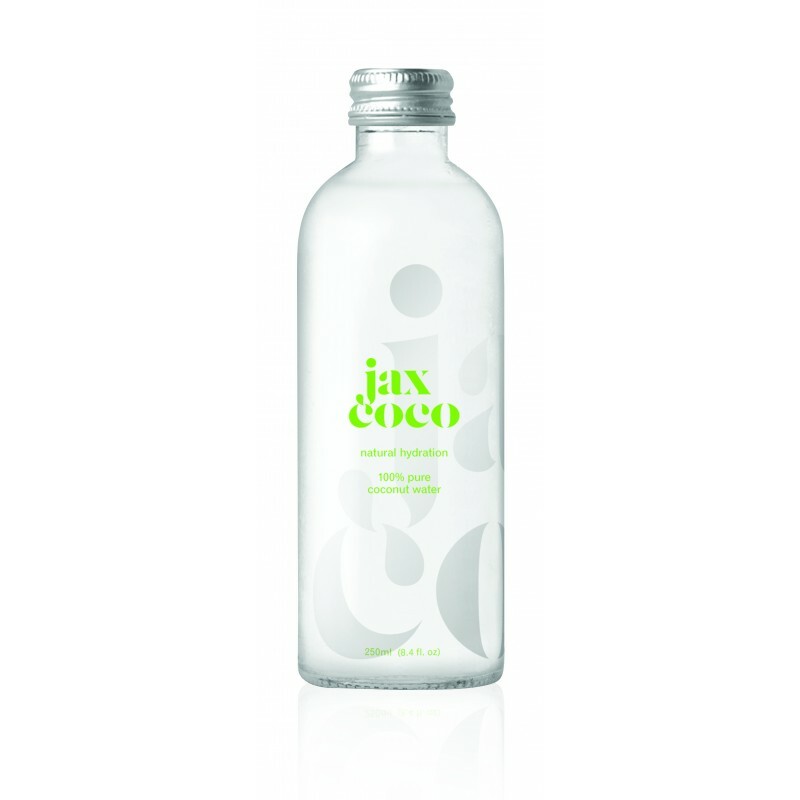 Jax water coconut, presented in an esthetic glass container 330ml and in a 24 units box. Jax coco is 100% pure coconut water, with absolutely no added sugar, preservatives or colourings. In fact, we don’t add anything at all to our coconut water – it’s just as nature intended.